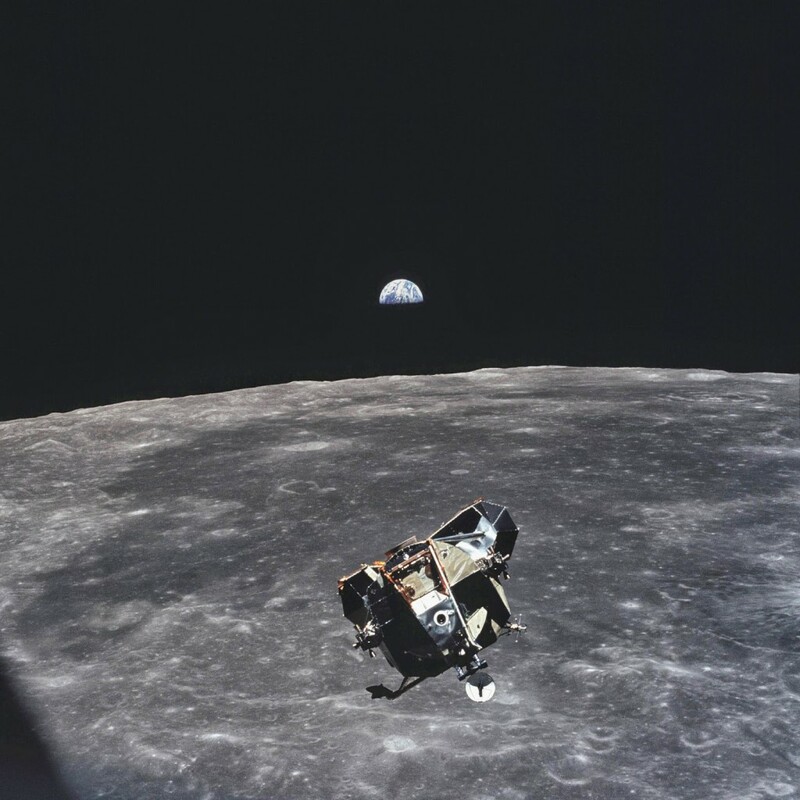 This picture of the Lunar Module was taken by Michael Collins. It contains Buzz Aldrin and Neil Armstrong and of course the Earth in the Background. This picture was taken during the Apollo 11 mission, and it makes him the only person to have ever lived who was not inside this photo. Even if you were not born yet, the matter from which you are made off is in this picture.